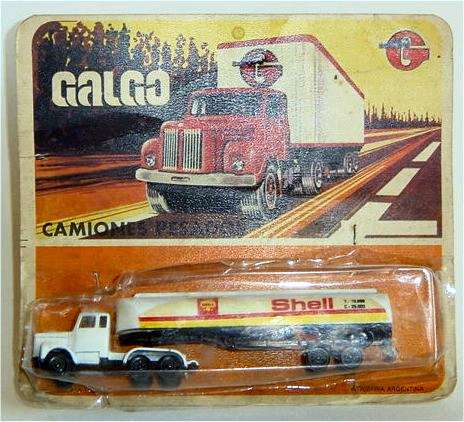 Industrias Galgo was a manufacturer of die-cast models from Argentina. 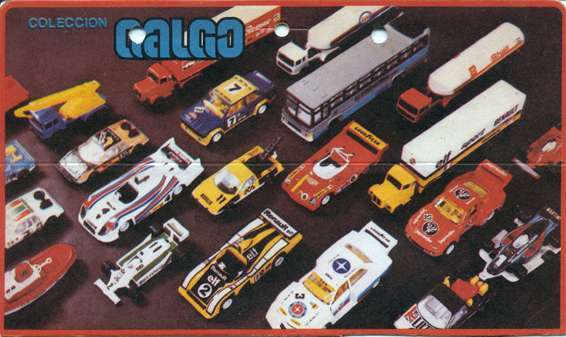 Apart from models in 1/43 and 1/64 Galgo also made a series of models in (near) 1/87 in the 1970s and 1980s. The die-cast Scania truck pictured was a model that was quite popular among 1/87 modellers in the early 1980s because there were no other models of this Scania type available at the time. We have not been able to find more information about the company, even though Galgo models were sold in many countries, it looks as if the company has seized to exist without leaving a trace. It is not completely clear when Galgo ended production, but their last releases appear to be from around 1985. 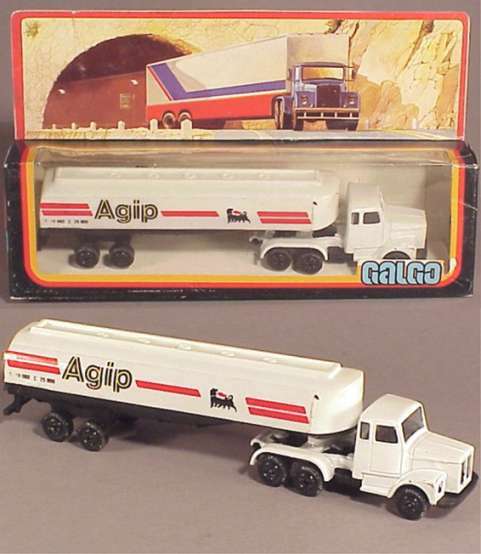 During the 1970s Galgo was one of the most important die-cast manufacturers in Argentina. Between 1971 and 1975 Galgo grew at a superb rate, not only in terms of business but also in terms of product quality. Among its earliest models we find small trucks that, although not very appealing, were a strong stepping stone for their business. These early models were mainly utility and delivery trucks of materials such as wood or gas. Among the many trucks Galgo developed there is one in particular that caught the eye of die-cast collectors around the world. The Scania model, produced during the first years of the 1980s, features a somewhat unusual scale within the die-cast market because it was made in 1/87. 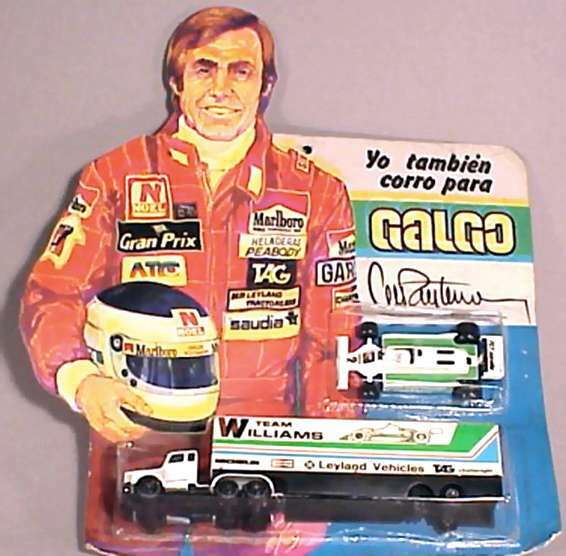 This is an interesting fact to take in consideration, because Galgo was the only firm to produce die-casts in 1/87 at the time. Even Buby, who was the other main Argentinian producer then, developed only one set in a similar scale. 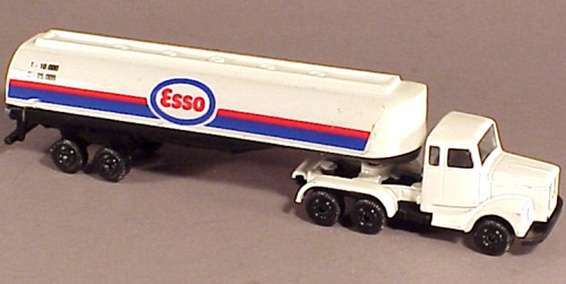 The Series 200 from the Buby Collection was made in 1/90th scale. 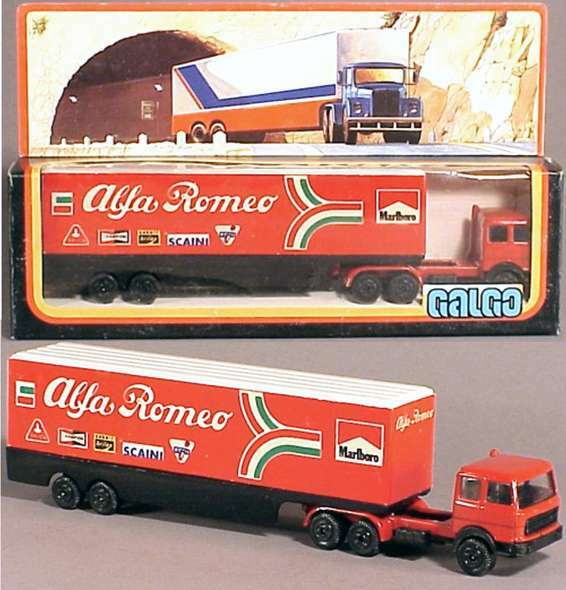 Along with the first trucks came the rest of the models Galgo was to produce and it is crystal clear to anyone that models of racing cars formed the major part of Galgo's prduction. Literally any kind of car that could be seen at any car race was at one point or another produced by Galgo. Each of these models was a carefull reproduction of the original and even bumper stickers and other accessories were custom made for Galgo's die-cast models. Later on, Galgo also made other die-cast models. These were, as collectors from all over the world refer to them, the 'Hollywood die-casts', which meant that the series featured car models that appeared in movies and TV-series. Nevertheless, Galgo's main production consisted of racing car models and, during its early days, truck models. When researching the history of Galgo the fact that Italian brands made up a major part of Galgo's production was something that really stood out. When trying to find the reason for this we tried to contact those who had been Galgo's owners during the 1980s. This, however, was impossible, there was no track of them and there were no leads to follow. Until one afternoon, when talking to Buby, a bit of this mystery was unveiled. Buby, as we realized after that interview, knew almost everybody in the die-cast industry back then, and revealed that the Pecareck brothers, the mind and hands behind Galgo, had had a production plant located in northern Italy in the 1980s where almost 80% of their castings was made. Suddenly their fascination for the Italian car manufacturers became very clear. Despite the sucess Galgo had, Galgo die-cast suddenly disappeared from the market in 1985. Many wondered what happened, why the abrupt stop in such prolific production. The key to understanding this gap within Galgo's production (in recent years the firm was sold to new industrials who want to try and revive those golden years) is Argentina's history. If one takes a look at the most important small and medium sized companies back then (especially in regard to toy production) one realizes that a lot of them have disappeared. Back then, when Argentina was returning to a democratic government system after many years of military dictatorship, the economy was in a very critical situation. Soon after a new president was elected, the Argentinian economy crashed and a deep and complex inflation process took place. Due to the economic crash countless small and medium size industries with low profit margins went bankrupt. We have not been able to establish if Galgo had gone bankrupt or if its owners sold before things got too ugly. But the economic situation at the time sure is a key factor in explaining the sudden stop in Galgo's production. * It is very likely that the models have been available in other liveries, additions are welcome ! 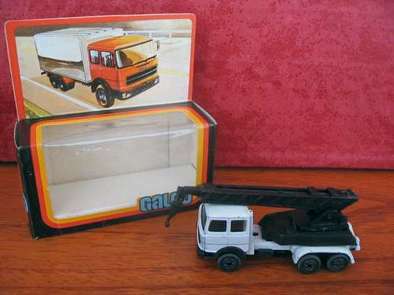 Galgo also released a series of other trucks, but we do not know if these are in (near) 1/87 as well. It looks as if the tractors used for the tractor/trailer models listed above were used as chassis for these trucks, but if anyone can confirm that they are indeed in (near) 1/87 we'd sure like to hear from you !